Volkswagen is forging ahead with the regionalization of its worldwide automobile business and today inaugurated a vehicle production facility in Kenya. Together with the President of Kenya, H.E. 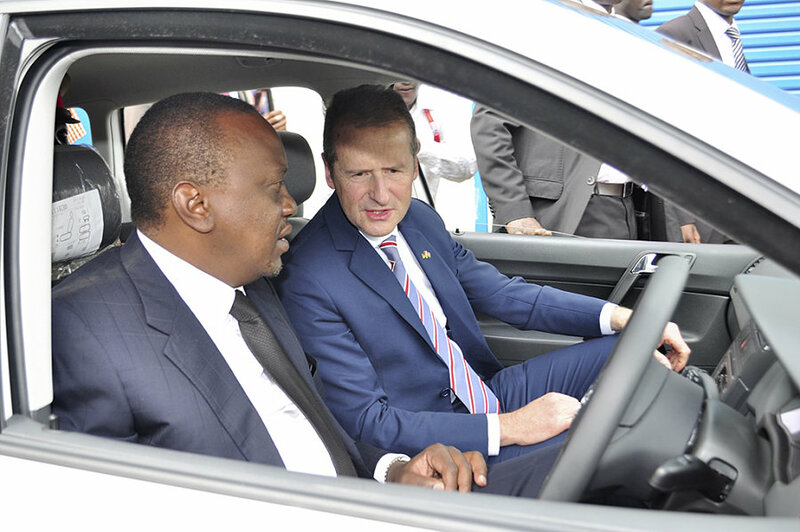 Uhuru Kenyatta, Dr. Herbert Diess, CEO of the Volkswagen brand, was present when the first locally produced Polo Vivo rolled off the production line. With the CKD production of the best-selling car model in the sub-Saharan region, Volkswagen is stepping up its commitment to Africa. This is a key step in the development of new opportunity markets – with the right products, local partners, and training in the region. For the start of production at Thika, the employees are being trained by Volkswagen Group South Africa. This will ensure that all vehicles have constant high-quality levels. Volkswagen is also investigating possible approaches for the establishment of a sustainable, practically oriented training initiative. Apart from school or academic training, young people are also to receive practical training in order to improve their employment prospects in the region as a whole. Kenya is an opportunity market in Africa. The country has an outstanding position within the region of East Africa and has the most powerful economy in the East African Community (EAC) with a GDP of about US$63 billion. In addition, Kenya is a key transit country for trade throughout East Africa. The good economic relations between Kenya and Germany are also being continuously and strategically expanded by the governments concerned. Volkswagen and Kenya – this is a relationship with a tradition: Volkswagen already assembled the Beetle in Kenya in the 1960s. The Volkswagen brand is now returning to Kenya with its first model, the Polo Vivo.